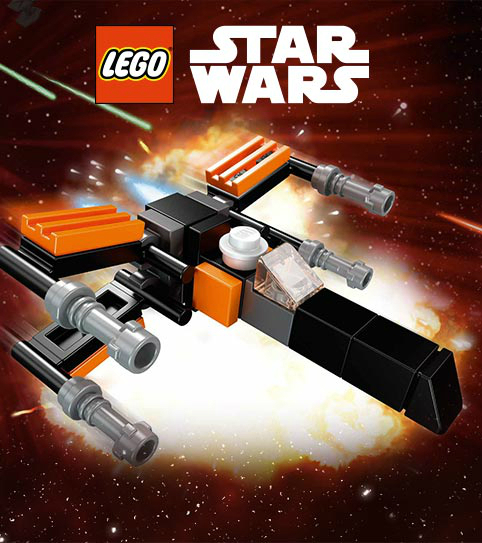 On Saturday from noon until 2 p.m., all Toys R Uses nationwide will be having a Lego building event, at which you can make and take home a teeny, tiny model of Poe Dameron’s fighter, with BB-8 represented by a single circular stud. It is specified that the freebie is for “children, ages 6-up,” but no upper age limit is specified, so go and let your inner child participate if you like. Or your actual child, if you have one of those handy. While you’re there, take a moment to notice the still-empty pegs for the 6″ figures that ought to be back in stock by now. Shed one tear. Get back to building.